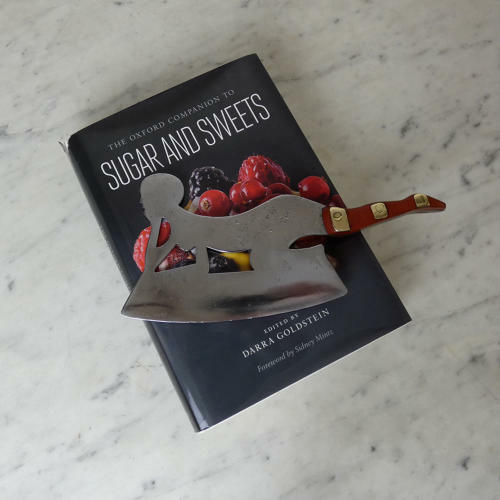 An unusual steel sugar or ice cleaver in the shape of a woman. Decorative cleavers were used in the confectioners kitchens for cutting the large cones of sugar or ice and this one dates from c.1900. The seductively positioned woman forms the top of the blade and the handle, which forms her boot, is made from a combination of brass and fibre block. There is some pitting to the steel, from use, but other than that the piece is in very good condition. Price includes postage within the U.K. and Western Europe. Shipping to the U.S.A. add £10.